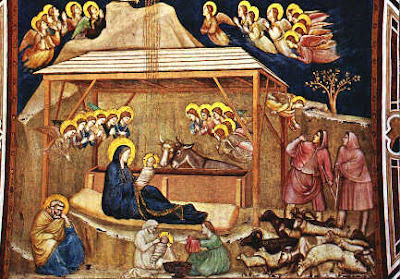 “Adeste Fideles” is not only one of the most popular of all Christmas hymns, it is also one of which the origins are less generally known. As a matter of fact, the history of this most beloved hymn was shrouded in mystery for many years—perhaps that’s also the secret of its charm—and before the emergence of English hymnist John Francis Wade (1711-1786) as the probable composer, the music was attributed to many composers, including the English organist John Reading, Sr. (d. 1692) and his son John Reading, Jr. (1677-1764), Georg Friedrich Händel (1685-1759), Christoph Willibald von Gluck (1714-1787), and Portuguese musician Marcos Antonio da Fonesca (1762-1830). The original Latin lyrics, in turn, were attributed from time to time to 13th century Italian scholar St. Bonaventura and others, from various countries, including the Cistercian order of monks. John Francis Wade was a Catholic layman who escaped religious persecution in England and fled to France (after the Jacobite rising of 1745), where made his living by teaching mu¬sic and “by copying and selling plain chant and other music” (B.Ward, History of St. Edmund’s College, Old Hall, London, 1893, quoted here). This is because a 1795 performance of the hymn by Samuel Webbe was first heard by the Duke of Leeds at the chapel of the Portuguese embassy in London, one of the few strongholds of Catholic culture in the country at that time. The Duke was so impressed that he commissioned a fuller arrangement by Thomas Greatorex. This arrangement was performed at a "Concert of Ancient Music" (a.k.a. the Ancient Concerts) on May 10, 1797. According to Vincent Novello, the hymn was identified as "The Portuguese Hymn" since the Duke erroneously assumed that Portugal was source (Novello also wrote a popular arrangement).3 Soon the carol became very popular throughout England, Europe, and the United States. Also a different account of the story is that according to which King John IV of Portugal (1603–1656 ), also known as “The Musician King,” wrote this hymn to accompany his daughter Catherine to England, where she married King Charles II. The account says that, wherever Catherine went, she and her embassy were announced and accompanied with this hymn. The hymn, which has been translated into at least 125 languages, appears to have been written and composed by at least 1743, and possibly as early as 1740. In 1822, three additional Latin verses were added by Abbé Étienne Jean François Borderies to the original four; and in 1850, an unknown contributor added another Latin stanza. The most popular English translation (“O Come All Ye Faithful”) is that by Frederick Oakeley, a Church of England priest who subsequently followed John H. Newman in converting to Roman Catholicism. 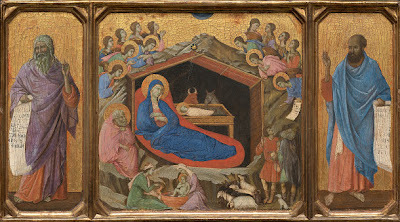 Yet, apart from the above mentioned historical and philological aspects of the whole subject, let’s not forget the main issue here, I mean, there’s only one thing missing: we should ask ourselves—and try to figure out a good answer!—why “Adeste Fideles” is one of the most beloved Christmas hymns ever. It invites all the faithful to come to Bethlehem to worship the new-born Saviour, and that’s a great thing in itself—the greatest thing in the world!—but there are a lot of hymns and Christmas songs that express the same concept. So why this and not one of the others? Well, the answer is up to each of us. Perhaps, in my humblest opinion, this one is not as amazing as “Silent Night,” nor as moving, and yet it is somehow unique, it has something old (if not ancestral), something eternal. It is as if we were transported back in time to 2000 years ago, as if we were surrounded by shepherds and we could see the star of Bethlehem. It’s “timeless.” That’s more than enough for me… Adeste Fideles, for ever and ever.